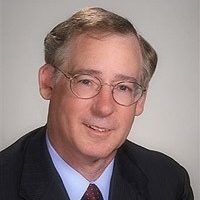 Sourcenet Investment Services LLC is the company of Jack Creighton. He brings over thirty years of investment experience to you as he works with clients on your financial needs. Jack has extensive investment real estate experience and has learned the lessons of prudence and diligence. He has applied those lessons to the larger investment world. He looks to the basic business; analyzes the fundamentals; knows the risk, evaluates the potential; these principles are all central to Sourcenet Investment Services LLC.